My family met at my sister Jane’s for the August long weekend. Another sister, Penny, told me to bring my accumulated hats for a photo shoot, so I could start this blog. We also co-opted my brother in law, Will, who has a nice camera with a portrait lens. 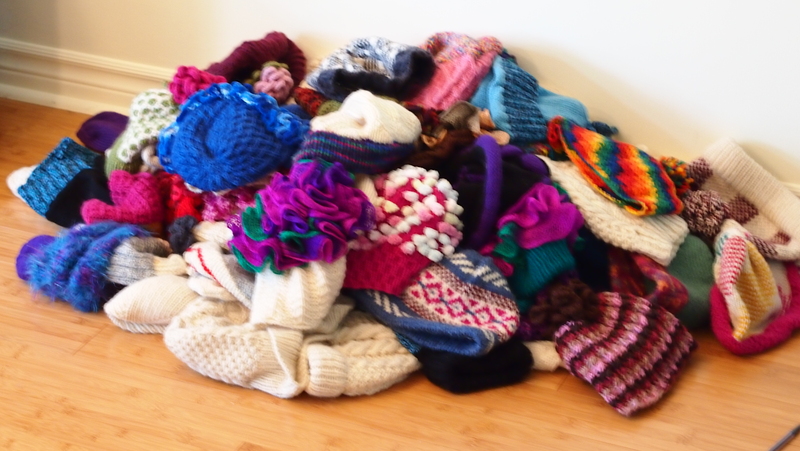 We threw all the hats down together and ended up with a big pile of hats to deal with, so things got busy. We actually had a lot of fun. 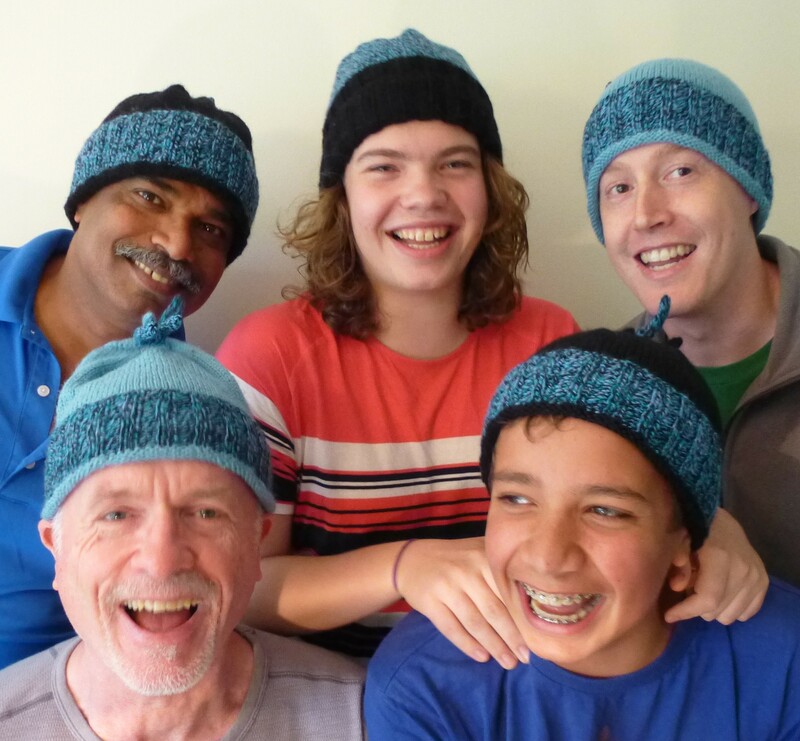 Here is my son Jacob (centre top) sharing a laugh with (clockwise) his cousins, Jeremy and Jay and his uncles Will and Surya. They are wearing a set of watch caps I did featuring handspun (the 3-ply blue/turquoise/black) and King Cole Antitickle DK. I made these when I was flirting with the idea of selling this kind of hat. The relationship floundered. This entry was posted in Uncategorized and tagged handspun yarn, hat, knitted hat, knitting, Knitting and Crochet on November 12, 2013 by gillianknitter.